Over 50 years ago, in response to racism and the aggressive marginalization of blackness in America, the Black Panther Party formed to build equality for oppressed peoples around the world. They became catalysts for nationwide change, beginning by empowering local communities with free food programs, clinics, community newspapers, and neighborhood patrols against police brutality. Since 2016, ICONIC: Black Panther has been celebrating the legacy of the Black Panther Party in American history, interpreted through pop up group shows featuring emerging and legendary artists alike. Following groundbreaking exhibitions in Oakland and Los Angeles, SEPIA Collective is thrilled to announce the third exhibition of ICONIC: Black Panther, at Stony Island Arts Bank in Chicago, IL. In recognition of one of the most influential political movements in the past century, this exhibition will be taking place in conjunction with the 50th anniversary of the Black Panther Party’s Illinois chapter. 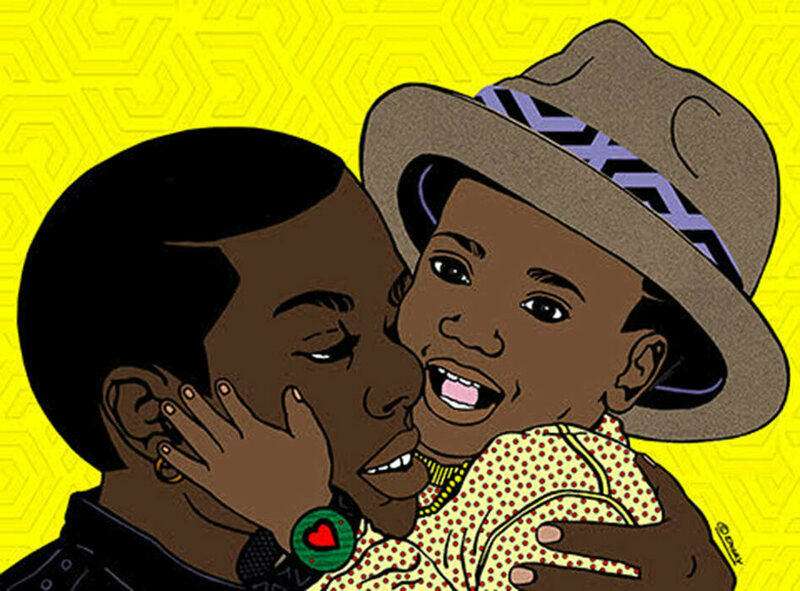 The heartland exhibition of ICONIC: Black Panther will feature a mix of local emerging and established artists, as well as internationally renowned artists like Emory Douglas, Dr. Samella Lewis, Rashayla Marie Brown, and Amanda Williams. For show producer Rosalind McGary, ICONIC: Black Panther is a way of cataloguing and archiving the continued legacy of this social justice and political movement. "The Black Panthers were phenomenal,” says McGary. “These young people created over 20 needed survival programs all while protecting their communities against predatory policing. We are fortunate to have created a vehicle like ICONIC for acknowledging their contribution to this country’s history, and for how they inspired oppressed people the world over. ICONIC: Black Panther makes room for courageous dialogue around our current circumstances, helps us learn from the successes and mistakes of our elders, and allows artists the honor of participating in caring for them now."